Across Georgia, you can find a wide range of home styles that come in all shapes and sizes. From the farmhouses in the country to the studio apartments in downtown Atlanta, rooms such as the kitchen will vary greatly based on your location. Homeowners with smaller spaces such as condos and apartments often face a myriad of challenges when it comes to completing operations in a crowded area. While you often cannot change the size of your kitchen, you can definitely take control and shape the interior design to create a more functional format for cooking, eating, paying bills, or any other activity you so choose. Detail Design & Remodeling is here to be your source for creating a beautiful and functional kitchen. Our experienced home remodeling contractors specialize in cabinet refinishing services, but we have the expertise to tackle the rest of the room as well. Our quality cabinet refacing in Atlanta helps to transform outdated cabinets into modern masterpieces that are as affordable as they are beautiful. 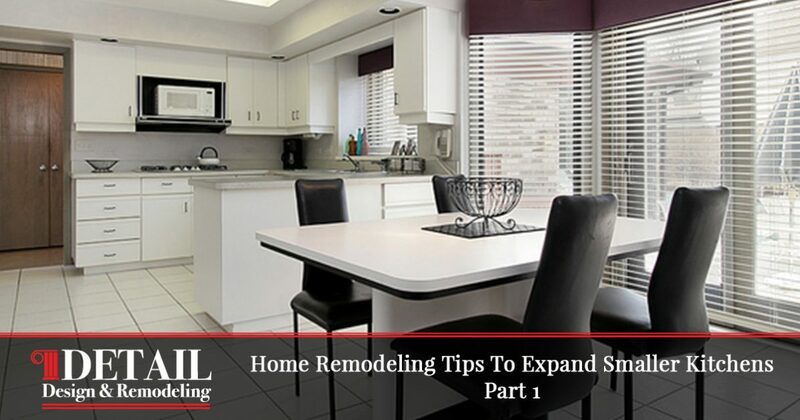 Today, we’ll look into small kitchen renovation tips to help you create a dynamic space to thrive in. 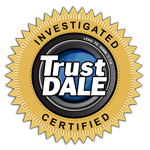 When done, be sure to contact our experts to see how we can improve the results of your project! One common problem we see here at Detail Design is an updated space that is overly cluttered and crowded. Homeowners want to get the most out of their limited space, and will often load up on features for a comprehensively overloaded Swiss Army kitchen. It can prove beneficial to come up with a plan for your kitchen that centers around the top needs for the room. Typically, this includes cooking and meal prep. Your kitchen remodeling plan should list your most needed appliances, followed by the needed tools of the trade to cook, design features, and so on. Space is limited, making it necessary to plan ahead for preparation surfaces. You’ll need room to chop, cut, measure, and combine, and the countertop will most likely be involved in the process. Another approach that homeowners have found success with is the acquiring of smaller appliances. When you consider the total square footage occupied by your fridge, sink, microwave, and dishwasher in comparison to the limited room available in total, it’s easy to see why investing in miniature appliances is a smart move. Every aspect of your kitchen will likely come with a plethora of options, including reduced microwaves and two-burner stoves. Now may also be a good time to consider custom cabinet work if things are too cramped. Our home remodelers can help you to design a product that is functional, affordable, and aesthetically pleasing! One of the most eye-catching parts of any room in the home is the floor. Your choice of flooring will play a major role in whether your home renovations were a great success or a flop. While not technically increasing the space in your petite kitchen, aesthetically pleasing flooring materials will help in creating a roomy feel. Those remodeling a small kitchen will have big opportunities to excel in this department, as reduced total square footage will result in a larger budget per square foot. From luxurious tile designs to rich marble options, now may be the perfect time to invest in a high-quality material. The goal is to have a sensible budget that optimizes your enjoyment of the space. All kitchens require an optimal balance of lighting elements to properly illuminate every area in the room. From your stovetop to the prep counter, fixtures are necessary for both task and ambient lighting. Most kitchens in Georgia suffer from the same artificial lighting that casts a strange glow on everything. Now may be the perfect time to work on upgrading your lighting in terms of color and location. Homeowners have found success by strategically spreading out their kitchen lighting to cover a range of areas and heights, focusing on creating depth in addition to safely lighting countertops. Pendant lights can be hung over countertops, tabletops, the sink, and other areas where appropriate to cast a warm glow over your area of focus. When executed correctly, a new lighting scheme can help to create depth and aesthetic value to your kitchen, especially if it is focused on your new appliances and floors! While a small kitchen may feel limiting and claustrophobic, proper design work can help to revolutionize the room and bring excitement into your cooking activities. Next time, we’ll continue this topic by looking into more tips to open up your miniature kitchen. Detail Design & Remodeling is proud to offer home renovations in addition to our cabinet refacing in Atlanta. With years of experience and high customer satisfaction, our home remodeling contractors are here and ready to lend a hand in your project. Feel free to contact us to learn more about our kitchen cabinet refacing services!